“My dream has come true. The Civil Services examinations are all about clearly understanding the methods and patterns well. 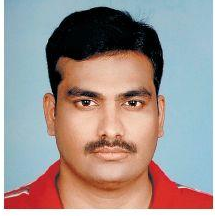 I didn't join any coaching classes for the preparations,” He added. Now he is working as Assistant Conservator of Forests.